I think there may be a misconception that putting (any) floor plan online somehow puts the property and its owners at risk. I welcome that discussion and ask you to compare an online floor plan to physically inviting people onto the property for a personal visit – which has been the real estate industry standard for 75+ years. Consider the following …. Any person physically on the property has the opportunity to …. Observe how the windows are wired into the security system .. at the top? At the bottom? On the sash? Observe the personal possessions located in each room .. high end audio equipment, wide screen TV’s, jewelry boxes, collectibles, sports memorabilia, etc. NONE of these are in our SMARTePLANS® … in fact we CONCEAL the location of safe rooms and silver closets and never, never mention or depict the location of any of the above. So if you think that “safety” may be an issue with floor plans — and it is a fair question — consider the above and factor that into your evaluation … which method really provides a greater degree of security to the owner and his property? What if your client does not want the property photographed … no photo gallery …or no virtual tour? A SMARTePLAN is still a viable means of marketing the property as it does not depend on photography to convey the essence of the property and its unique features. It CAN be used without divulging the address or location. You can upload the SMARTePLAN as “5 Bedroom Home In River Oaks” which conceals its location, yet allows genuine buyers to review the features and finishes of the property. The drawing linked to the Amenities Text without any address or location noted on either document provides MORE meaningful information about the property than any current means — yet protects the Sellers privacy and security. 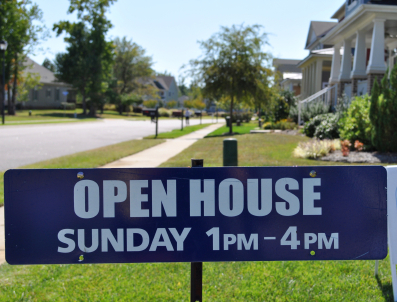 An Open House is not particularly PRIVATE … it is generally open to the public …. with not a whole lot of CONTROL of who walks through the door. But with a SMARTePLAN … always, always always the materials are disbursed and distributed per the direction of the Agent; they hold the keys to the information. For high end properties, perhaps the Listing Agent /Broker elects only to release property information to pre-qualified Buyers whose financials have been verified? Pound-for-pound, SMARTePLANS provides far more “safety” to the property owners than the standard methods of currently marketing homes … and provides much more flexibility to the Listing Agent / Broker than they now have, including meaningful private marketing options that don’t include having the property listed on an MLS.